Reversible and replaceable Tungsten carbide blades. Floating ceramic rods in handle for scissor sharpening. Soft grip handle and protective hand guard. The Smith’s Knife & Scissors Sharpener features a specially designed “V” shaped sharpening slot with two crossed tungsten carbide blades, which are pre-set so that you get the correct sharpening angle every time. 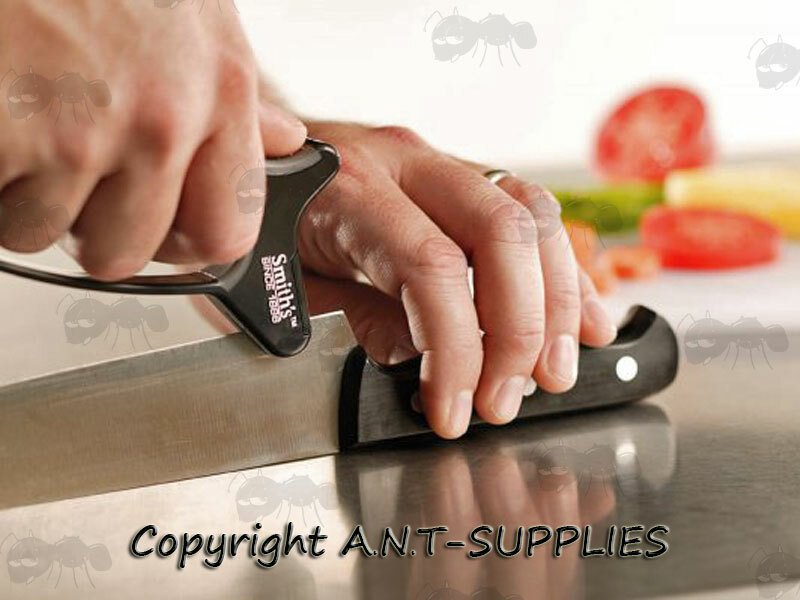 It is safe and easy to use, and only takes three or four strokes to put a quick sharp edge on any household knife. The carbide blades are reversible and replaceable. 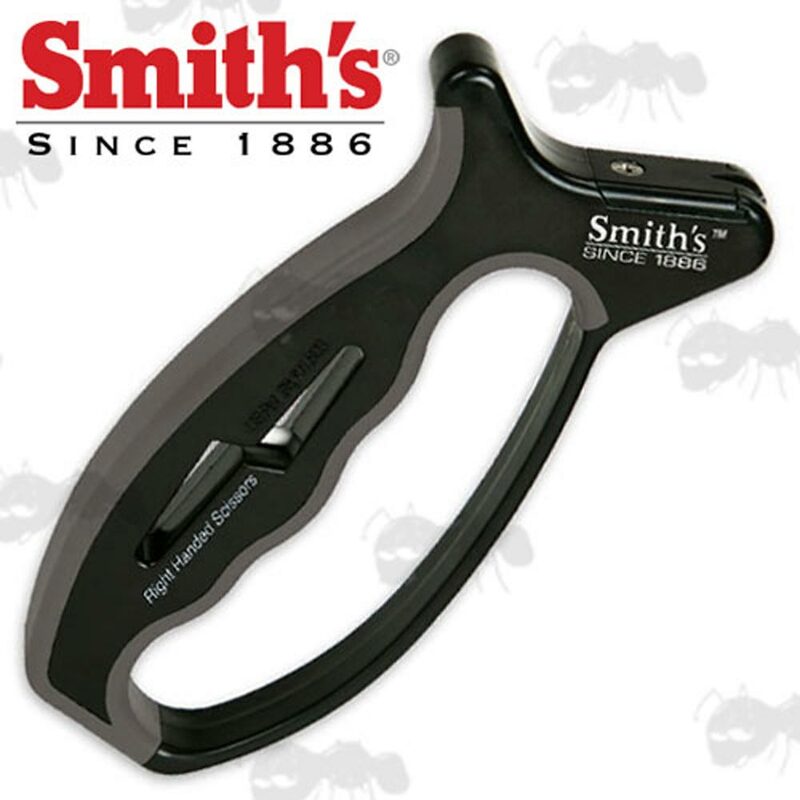 The Smith’s Knife and Scissors Sharper also has a built-in scissors sharpener in the handle. It features a specially designed and patented “FLOATING” round ceramic rod, which conforms to the exact angle of your scissors every time. Just three or four easy strokes will put the edge back on your scissors. The scissors sharpener works on both left and right-handed scissors.